Do not throw away anything! The sustainable “nose to tail, tip to fin before the compost bin” is a wise habit of yesteryear that has returned. Think of some of the food items that you would normally toss that could have second life: Celery ends, onion skins, chicken bones and carrot tops make perfect soup. But beets offer the best bang for your autumn buck. 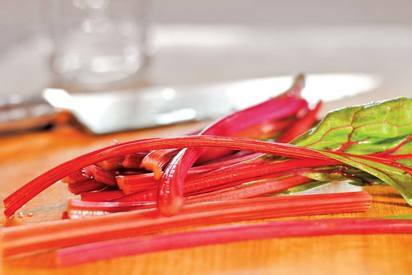 • The beetroot itself can be scrubbed and roasted in the oven, skins on, for 45 minutes at 400 F.
• The greens can be rinsed and pan-fried with extra virgin olive oil, minced garlic and a pinch of sugar. • The stems can be lopped off and turned into fresh pickles for your charcuterie board in no time.